What 11 Factors Do College Admissions Officers Want to See? to work as a whole, showing off a student’s particular mix of qualities in the best way possible. Colleges want a range of students to create a diverse campus community. This means, the part of the application that carries the most weight will differ for each student. 1. Course rigor. Take classes that are a challenge, including Pre-AP courses in middle school. This will better prepare a child to continue taking Pre-AP courses, and eventually take AP classes. Take challenging and interesting electives too. Intro to Engineering, Computer Science, a Business elective, Debate, and extra years of foreign language all shows signs of a serious students. Teacher aide, off-campus periods, and other ‘blow off’ classes do not. Students should take the PSAT in 9th and 10th grade, when it’s optional but still advantageous. During junior year, students should plan out their testing timeline, allowing for a first attempt and a retake date, along with test prep courses or tutoring. 3. High school grades. 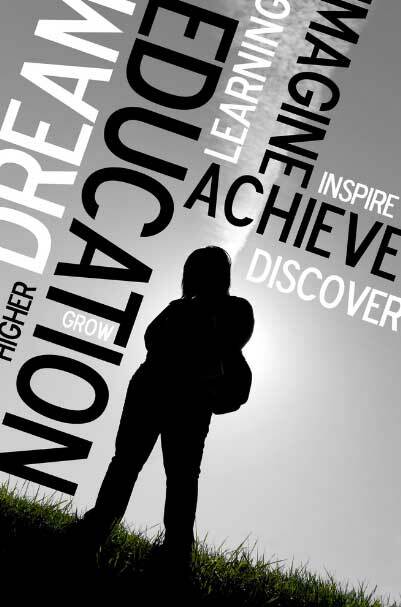 Grades count and schools look for students who have challenged themselves and expressed a passion for learning. Have you heard that classic question, is it better to get an A in a regular class or a B in an AP class? The real answer is it is best to get an A in an AP class. In all seriousness though, As and Bs in AP classes will look better on college applications than easy As in less-challenging courses. 4. Extracurricular activities. Schools are looking for commitment and impact in the activities a student chooses to spend time in. This means choose quality over quantity. Admissions officers are not so interested in hearing about passions, they want to see them proven! It is better to be highly involved in one or two activities and/or sports over a number of years, than less involved in many activities. Once a student finds the activities he or she wants to focus on, the next step is to work on becoming a leader or to demonstrate initiative, which leads up to #5. 5. Leadership Roles. By junior year, students should have had time to explore different student clubs, organizations and activities to get more heavily involved. Students who run for an elected position, start their own club or organization, or take a leadership role have a leg up on the competition in college admissions. 6. Community involvement. Colleges want students who give back to the community, who are going to be involved on campus, and who are going to represent the college well. Students who do volunteer work or community service are able to demonstrate that they are that type of student and are, therefore, more attractive to colleges. Students who continue to give back to their community, especially in the same organization or non-profit, will see the benefits on college applications and scholarship applications. Volunteering just one Saturday a month (for 6 hours) gives the student over 200 hours for just one line on the application. Volunteering for one week each summer earns the student another 160 hours! Just think how that will compare to another applicant with similar test scores and academics, but only a dozen hours of community service. 8. Recommendations. Not all colleges require letters of recommendation (LORs), but those who do, want stellar LORs! The best recommendations come from individuals who really know the student. They should offer detailed information and/or personal stories about the applicant that back up the information on the application. LORs should provide information that is not already on the student’s application. 10. Personal characteristics. Schools are looking for a student body with diversity. If you are an applicant with an unusual geographic location, culture, ethnicity, economy or political sensibility, you may move to the top of the acceptance pile. Of course, different colleges look for different characteristics, and most of these can’t be easily changed, but researching which colleges are looking to diversify might help an applicant’s chances. 11. Special talents or abilities. Students who do something extraordinarily well do gain an edge in the college admissions process. A special talent or ability can be anything including performing or visual arts, athletics, science, math or writing. Colleges will look for evidence of a student’s accomplishments through recognition from others (i.e. awards, scholarships). They may also look for significant contributions that show the student’s depth of commitment and follow-through. (i.e. newspaper articles). NOTE: It is important to note that different admissions directors seek different things. Some colleges look for students who are well rounded, with a wide assortment of extracurricular activities, others give preference to those who have displayed a sustained passion for something. Students shouldn’t do an activity simply because it will “look good for college” but to expand their experiences, to give back to the community, and to broaden their mind.